Manufacturer of a wide range of products which include chop saw machine and cut off chop saw machine. 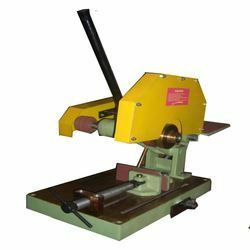 We are offering a wide range of Chop Saw Machine. Chop Saw Machine is very easy to use. We are offering a wide range of Cut Off Chop Saw Machine. Cut Off Chop Saw Machine is very easy to use.